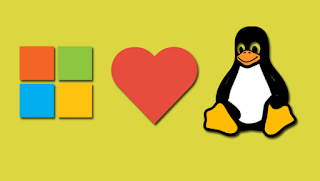 Microsoft’s Open Source Tool To Run More Linux Distros on Windows. Microsoft has unveiled a tool to assist the Linux distribution managers bringing their preferred Linux distros to operate on Windows Subsystem for Linux (WSL). It is actually a compatibility layer for the functioning of Linux Binary executables on Windows 10. In addition, it also provides a compatible kernel interface proposed by Microsoft which can then operate a GNU on top of it, including SUSE Linux Enterprise Server, Kali Linux, Ubuntu and open SUSE. This windows Subsystem for Linux cannot run all kinds of Linux software, there are a number of Linux distros available, most of which are created for some particular niches and purpose only. It doesn’t support GUI because the tool is specifically designed to provide alternative command-line interfaces to Windows ones. For instance, this kind of subsystem cannot run 32-bit binaries, or those, in demand of unimplemented kernel services. On the other hand, developers can’t share the Linux distributions on the store but they can initially use the tool to create its packages that can be added onto a machine operating windows 10 in developer mode. The WSL is only accessible on x64 editions of Windows10 and can be run on the advanced version of Windows 10 or later. It was first made accessible to Windows 10 Insider Preview build 14316. Earlier, Microsoft decided to open source a project that is entitled to ‘WSL DistroLauncher Sample’ it includes a reference execution of how LINUX OS projects could implement their Linux distro to work inside the WSL component. The outcome of using WSL DistroLauncher sample is a Universal windows Platform apps that sideload the Linux distro through Windows 10’s WSL. The necessary information required to run this new tool is added to the WSL Distrolauncher’s GitHub project readme file. GitHub or known as Logical Awesome LLC is a hosting service majorly used for computer code. It allows you to access several collaboration features like feature requests, wikis and task management for every project. GitHub, a web hosting service offers plans for free accounts which are generally used to host open -source software projects. According to the reports, as of 2017, GitHub accumulated almost 20 million users and more than 57 million repositories, making it the largest and the best host of source code across the world. Apart from source code, GitHub also supports features like issue tracking, email notifications, PDF document viewer, graphs and more. Linux distro teams can originate some official WSL packages that they can share via the Windows Store, while developers can transfer it on their personal work machines. To avoid destructive users sharing or transferring the Linux distro, they don’t allow on the official Windows store, Microsoft revealed that it would only allow the store submissions for WSL images from distro’s genuine development teams only. The custom Linux distro packages can be only be run and published in the store only if they are submitted by an official maintainer.